Keweenaw owns and manages a total of 184,003 surface acres with 168,157 acres located in the Upper Peninsula of Michigan and 15,846 acres located in northern Wisconsin. The Company also owns and manages a total of 401,867 acres of both severed and attached mineral rights located entirely in the UP of Michigan. 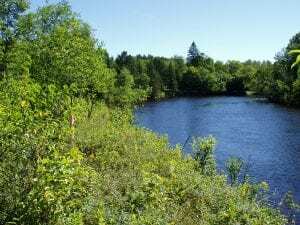 Keweenaw’s ownership includes over 173,000 acres of productive timberland, nearly four miles of inland lake frontage, over four miles along Lake Superior, and approximately thirty miles of frontage along major rivers. Approximately 2,500 acres are comprised of commercial, recreational, or city properties. When appropriate, the Company sells or leases parcels for commercial and/or residential development. Log sales, developed lot sales, investment portfolio income, gravel royalties, and commercial lease income are the primary sources of revenue for the Company. 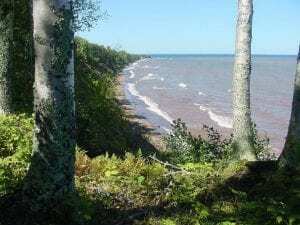 Keweenaw Land Association, Limited traces its origins to the period immediately following the Civil War and the construction of the ship canal across the Keweenaw Peninsula of Upper Michigan by the Portage Lake & Lake Superior Ship-Canal Company. A land grant by the 38th Congress was promised to the company completing the canal. After experiencing financial difficulties in completing the canal, the assets of the Portage Lake & Lake Superior Ship-Canal Company, including 400,000 acres of land grant properties in the Upper Peninsula of Michigan, were purchased by the financiers of the original project, and the Lake Superior Ship Canal Railway and Iron Company was formed. In 1891, the LSSCR&I Co sold the completed ship canal to the U.S. Government, and the remainder of the assets, including the 400,000 acres of land, was transferred to the company’s successor, the Keweenaw Association, Limited. That company was reorganized in 1908, and Keweenaw Land Association, Limited came into existence as a Michigan partnership association. Keweenaw was reorganized again in 1999 as a Michigan corporation. Since the 1908 reorganization, Keweenaw has been managed both passively and actively, receiving timber stumpage and mineral royalty income. During the World Wars, Keweenaw timber properties were harvested heavily for war needs. In the mid 1960’s. 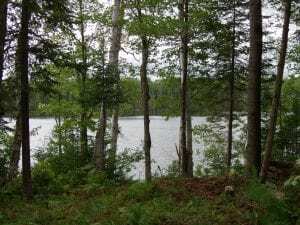 Keweenaw began to manage its timber assets by practicing sustainable forestry in order to maximize the value of its timberland assets over the long term. The current and more proactive operating management commenced in 1992. The Company’s environmental and sustainable forestry practices have been third-party audited and certified since 1994.